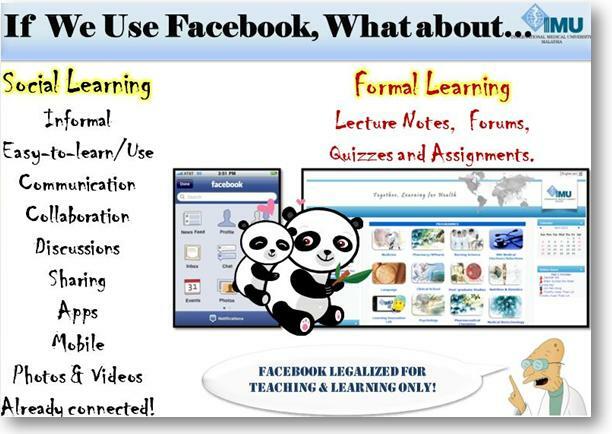 This week’s learning session explored Facebook and how we can use it to facilitate learning. As expected, thanks to the juicy topic ‘Facebook’, we had a full house (e-learning lab, I mean!). Only 25 were allowed to register, but we ended up with 32 participants, which just illustrates that Facebook is an interesting topic. 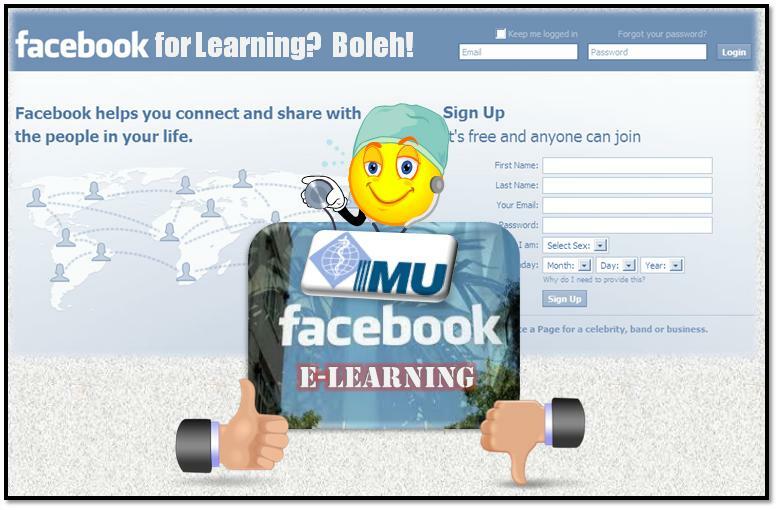 Based on our recent poll the majority of both Academic staff (66.7) and students (67.8) that participated think that IMU should use Facebook for e-learning. 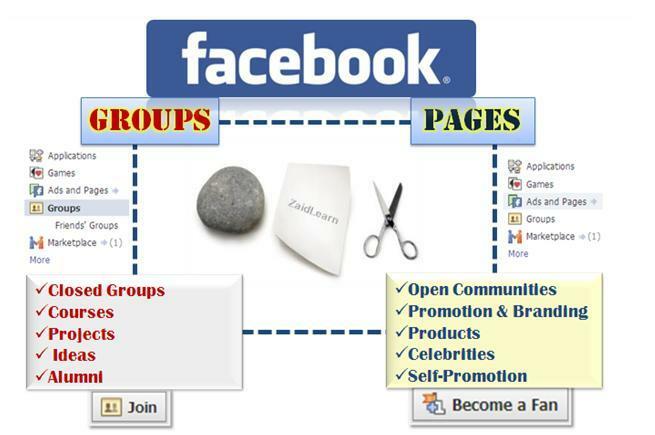 To get your Facebook social learning space moving, why not for starters create a ‘Facebook Group’ (especially if you want to have a closed group)? in the first quarter of 2010, GSK’s sales rose by 19% to Rs547 crore over the year-ago period, ahead of the drug market growth of 14-15%. Its growth was mainly due to higher volumes and a richer product mix, with price playing a negligible role, according to the company. Sales of vaccines rose by around 48% during the quarter. GSK offers a range of vaccines, for the prevention of hepatitis A, hepatitis B, invasive disease caused by H, influenzae, chickenpox, diphtheria, pertussis, tetanus and others. 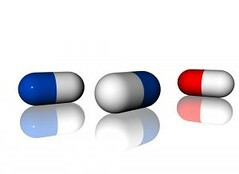 The drug maker is driving growth through new offerings, with five new products slated for a 2010 launch. 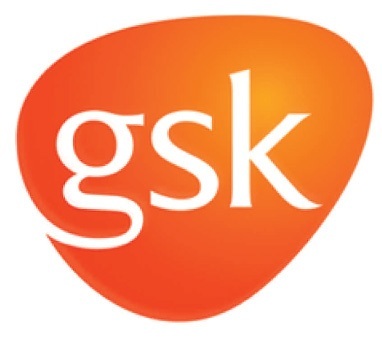 To cover the market with these new products, GSK hired 200 people in 2009 and plans to add 250 more in 2010. A concerted sales push with the help of an expanded field force could make a difference. UK drug giant GlaxoSmithKline, like many other pharmaceutical majors, is looking to increase its presence in the fast-growing Indian market. “We are looking for acquisitions in India which are attractive to us. We are a very financially strong company,” GSK chief executive Andrew Witty told reporters at Nashik, India.Witty’s been talking deals (he’s in favor of them) and drug prices (they have to be flexible) and strategy (grow via deals and organically in poor and middle-income countries). GSK-India has huge plans for the Indian market. But are their marketing strategies in tune with the changing media consumption patterns among Indian doctors and population? A conservative approach of maximizing field sales people without having a long term outlook for marketing of newer molecules is just not going to yield the desired results. 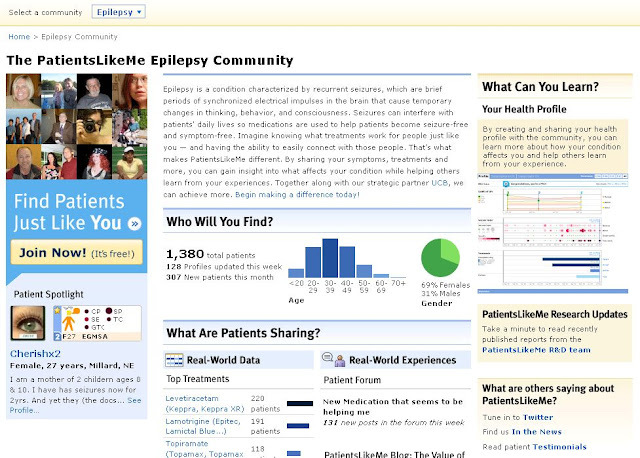 After months of planning, UCB officially launched an epilepsy community on PatientsLikeMe in early 2010. In the first two weeks, over 400 patients joined. Based on the growth of other communities, they expect thousands of patients to connect there over the next few months. PatientsLikeMe is part databank, part community. It allows crowd sourced information on patient behavior and expectations via this “community portal”. The site was started by two brothers – James Heywood and Benjamin Heywood – after watching their brother Benjamin’s long battle with ALS. PatientsLikeMe offers pharmaceutical companies the opportunity to reach and learn from thousands of patients with chronic diseases. The industry can follow their symptoms, treatments, outcomes and attitudes. They can evaluate real-world safety and efficacy data, and conduct targeted clinical trial recruitment. UCB is hoping what it learns about epilepsy from the patients will help improve drug safety and lead to new advances in care. Patients in our epilepsy community can now access a series of PROs to help understand the effect of their disease on everyday life and have a voice in real-world, real-time research. The best part is that once they’ve completed the questionnaires (which should take about 20 minutes) they get to see summary findings of how they compare to other members in the community, plus a summary of their overall physical, mental, and social quality of life is displayed on their profile and their patient icon.- The PatientsLikeMe Epilepsy community. UCB has ambitious plans for the partnership and has outlined a number of research projects in the pipeline, including one that takes aim at the specter of adverse events – long the cause of pharma caution on any form of social networking. 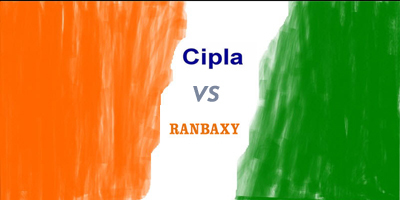 National Pharmaceutical Pricing Authority (NPPA) has cut the price of Aventis Pharma’s monocomponent insulin Lantus by 2.8% and Novartis’s Vitalux Plus TR tablets by 2.9%, an official close to the development said. “The revised prices will be effective within 15 days,” the official said. This occurs at the time NPAA has increased the rates for many other Recombinant Insulin brands. 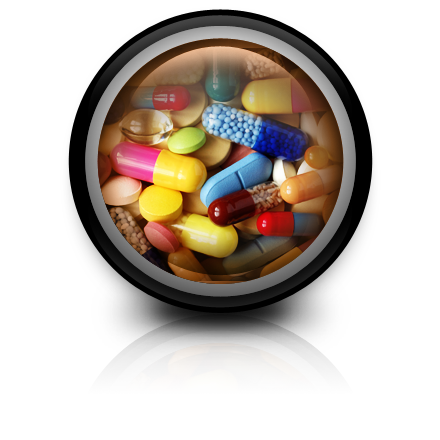 NPPA is in charge of monitoring the prices of drugs sold within the country. NPPA periodically exercises its option to revise or fix the pricing of certain bulk drugs and formulation packs that come under Drug Price Control Order (DPCO) 1995 –a statute to regulate prices of essential drugs. Lantus is Aventis Pharma’s fastest growing drug and its sales have been growing at 33% per annum in India, according to a company spokesperson. Annual sales of Lantus are now worth Rs 50 crore. 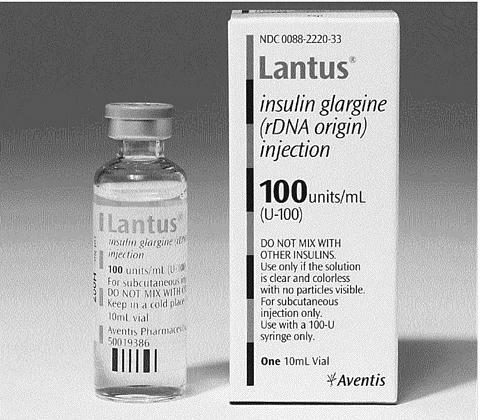 It was the first once-a-day form of insulin and its effect lasts 24 hours, making it a popular long acting drug.A 10 ml vial of Lantus 100 IU/ml will now cost Rs 2,370.49 instead of Rs 2,439.27. And this is NOT the first time Lantus has had to suffer this fate via NPAA. Wonder what Sanofi-Aventis plans to offset the loss of revenue? Lupin Ltd has recently launched injectable osteoarthritis drug Hyalgan in India. In fact, Hyalgan was the first FDA approved hyaluronan therapy.The drug, which is a natural liquid injected into the knees to relieve pain caused due to osteoarthritis, has been test-marketed by Lupin over the last six months across the country. Viscosupplementation– These procedures involve the injection of gel-like substances (hyaluronates) into a joint to supplement the viscous properties of synovial fluid. Currently, these injections are approved for osteoarthritis of the knee joint, when more conservative treatments have failed. Hyalgan is recommended for patients of stage 1 to 3 of OA to relieve the acute pain associated with it. Hyalgan can also delay the progression of OA when taken regularly as per the schedule. The procedure for Hyalgan injections is explained here. Though many doctors know about this medication, not many are skilled enough to use this intra-articular injection. it would need a massive medical communication process to train most doctors in using this treatment option in the OPD. This communication would ideally be in the form an animated 2D or 3D video, with interactivity and notes.Such videos can then be distributed to relevant doctors, offline on a compact disc or online via medical forums and websites. The Hyalgan molecule is originally developed by Italian drug maker FIDIA SpA. According to a recently concluded survey, the market for osteoarthritis is currently pegged at Rs 150 crore. In India OA is the 2nd most prevalent disease in the age group of 25-30 years and affects more than 12 per cent of the population. Hyalgan injections are given as a series of 5 injections. Each injection is given once a week. I launched the world’s first elective course at a medical university focusing on web 2.0 and medicine for medical students in 2008. Now this is the 4th semester and the 8th week was dedicated to new media in medicine and education 2.0. Here is the outline of my presentations. We don’t watch TV on TV any more. Podcasts: Is it easier to read or to listen? Collaboration: Google Docs, Connotea.org, etc. Take-home message: Make your online work as efficient and time-saving as possible. We’re digital natives, Generation Z. Take-home message: The web is full of educational resources. Use them wisely. Following Techcrunch’s posting on Thursday, Ning’s bubble bursts …, that the new CEO of Ning had written to its staff to tell them that it will phase out their free service and that “existing free networks will have the opportunity to either convert to paying for premium services, or transition off of Ning“, there has been a lot of blogging activity about Ning. Clearly the functionality of a tool or service will be important, but other factors will be the cost (ie whether it is free, open source or commercial software), and whether it is a hosted service or downloadable software. When you choose your new platform you may also want to make sure you own the data and content this time, so if this is a consideration, you will need to read the terms and conditions closely. You may find my comparison of Facebook, Ning and Elgg a useful resource when considering all the factors involved – to ensure you don’t jump out of the frying pan into the fire! Big news today from Ning: no more free networks (and 40% staff layoffs). Hosted services are great – as long as you can pull your data out (a significant value to Google’s data liberation project). Many educators use Ning for creating social networks. But, for Ning, ad revenue has not been able to meet their financial needs. Which is why I’m quite pleased that we’re using Elgg for our institutional learning/collaboration network at Athabasca University: the Landing. If you decide not to host your own site, at least make sure you can own and export your own data on your terms. Is this a commentary on “free” as a business model? Serum 25-hydroxyvitamin D (25-OHD) levels were measured in 414 (ex)-smokers older than 50 years and the link between vitamin D status and presence of COPD was assessed. The rs7041 and rs4588 variants in the vitamin D-binding gene (GC) were genotyped and their effects on 25-OHD levels were tested. In patients with COPD, 25-OHD levels correlated significantly with forced expiratory volume in 1 s (FEV1). Compared with 31% of the smokers with normal lung function, as many as 60% and 77% of patients with GOLD (Global Initiative for Obstructive Lung Disease) stage 3 and 4 exhibited deficient 25-OHD levels lower than 20 ng/ml. 25-OHD levels were reduced by 25% in homozygous carriers of the rs7041 at-risk allele. 76% and 100% of patients with GOLD stage 3 and 4 homozygous for the rs7041 allele exhibited 25-OHD levels lower than 20 ng/ml. Vitamin D deficiency occurs frequently in COPD and correlates with severity of COPD. The data warrant vitamin D supplementation in patients with severe COPD, especially in those carrying at-risk rs7041 variants. Vitamin D deficiency is highly prevalent in COPD and correlates with variants in the vitamin D-binding gene. Thorax 2010;65:215-220 doi:10.1136/thx.2009.120659. This is the third installment in a 3-part series listing library-oriented iPhone applications – all links go to iTunes where you can download the apps. If you have a favorite book-related iPhone app that’s not listed here, please suggest it in the comments below, and be sure to check out parts one and two! Stanza claims to be the most popular electronic book reader with over 1 million readers. They offer access to over 50,000 contemporary titles and an additional 50,000 free classics. This app has over a dozen hand-picked, literary masterpieces in its collection including The Odyssey, The Wonderful Wizard of Oz, Frankenstein, and Pride & Prejudice. This simple app allows users to buy and read Kindle books on their iPhones as well as adjust the text size and add bookmarks. Over 1 million people have used this iPhone app to listen to over 2,800 classic audiobooks for free. An ebook reader app which supports many different formats with images and formatted text. 23,469 classic books are accessible for free through this Free Books app. Similar to UrbanSpoon for restaurants, LocalBooks lets users know about libraries, bookstores, and bookish events near their location. This extremely useful app lets users scan just about any barcode and receive search results for low online and local prices from hundreds of thousands of retailers. It works particularly well for books and WorldCat has now integrated their catalog with RedLaser so nearby libraries with the item will also appear in search results. This is a location-based library book search for NYC. Gartner (a Swahili term meaning “first we will make you give us a bunch of data to register for our site and then we’ll charge you a few thousand dollars for simple research reports”) is jumping on the touch mania that will continue to grow as more companies release their tablets/slates stating that “50% of the computers purchased for children will have touchscreens by 2015″. I can certainly understand the value of touch over keyboard and mouse interfaces. Children interact almost intuitively with touch interfaces. I’m reluctant to ascribe far-reaching educational implication to this, however. While pundits shall come a’runnin’, learning implications are far from clear.